SSC CGL Tier 1 Answer Key 2016 ssc.nic.in: The Combined Graduate Level exam is being conducted by Staff Selection Commission. This year, the structure has been changed, and the test will be conducted online from 27th August to 11th September 2016. The examination via online mode has been started already at a number of exam centers across the nation. Like every year, numerous candidates have applied for the same to get jobs in government sectors. Just after giving the exam, applicants have started searching for the answer keys. As of now, candidates are looking to get keys for 27th, 28th, 29th August answer keys for all the three shifts – morning, afternoon, and evening. According to the latest reports, the same will be uploaded and made available soon on the official website of the commission. Until then, applicants can check their answers with the keys made available by SSC private coaching institutions. However, the marking and ranking will be done according to the official answers key by SSC 2016 Tier 1 of CGL Exam. Those candidates who successfully qualifies it, they will be called up for the subsequent rounds and first of them will be Tier 2. Interview round has already been excluded. But there will be four tiers from this year. This is the news for candidates who are searching for SSC CGL 2016 Tier 1 Answer Keys as their exam must have been concluded. Before the official release of the key, coaching institutes will release their unofficial keys. Candidates can get an idea of how much they are going to score. The official key is expected to be released 2-3 months afterward the examination. Then, the SSC CGL Result 2016 will be declared. The format of this year’s Tier 1 of CGL has been changed and made the following. The question paper is based on the following sections. Each section has 25 questions of 2 marks each. Thus, the maximum marks to score come to be 200. The time limit has been reduced to 75 minutes for Tier 1. Until last year, 200 questions used to come and the exam was conducted for 2 hours. This will now affect the CGL cut off for 2016. 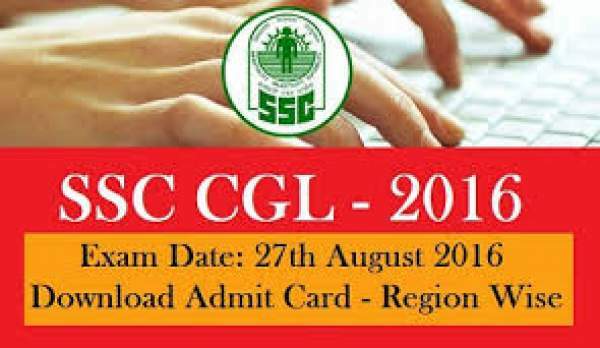 Steps to download the SSC CGL Tier 1 Answer key 2016? Look for the results notifications and click on it. Now, look for the SSC CGL 2016 Answer Key of Tier 1 and click on it. Download and evaluate your answers and predict your score. Stay tuned for latest 2016 SSC news and updates.